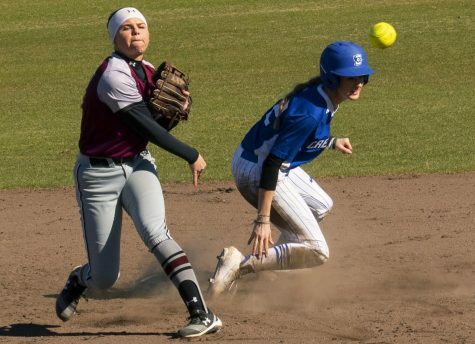 SIU softball (19-23-1, 13-10) split Sunday’s doubleheader with the Indiana State Sycamores (20-26, 12-11 ) with a 5-1 loss in game one and a 7-6 comeback win in game two at Price Field in Terre Haute, Ind. Saturday’s game was canceled with no makeup game. Senior pitcher Katie Bertelsen suffered the loss in game one. 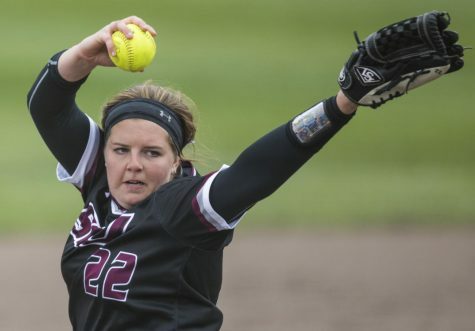 She allowed 5 runs, 1 earned on 3 hits, 3 walks and 3 strikeouts in 6 innings. Coach Kerri Blaylock said Bertelsen pitched a great game, despite the loss. Sycamore junior pitcher Taylor Lockwood earned the win. 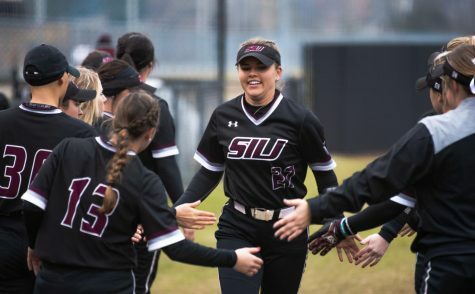 She gave up 1 earned run on 4 hits, 1 walk and 7 strikeouts in 7 innings. Indiana State put all runs on the board in the third and fifth inning, when they scored 2 and 3 runs respectively. 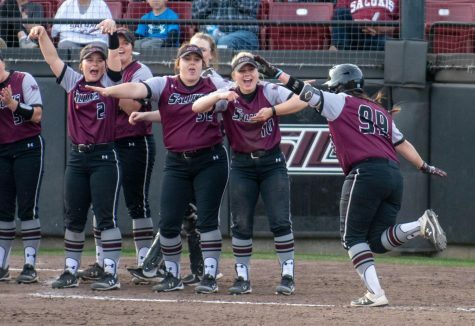 With the score 5-0 in the top of the seventh and final inning, the Salukis scored their lone run on a home run by senior outfielder Meredith Wilson, who went 2-for-3 with a strikeout in the loss. 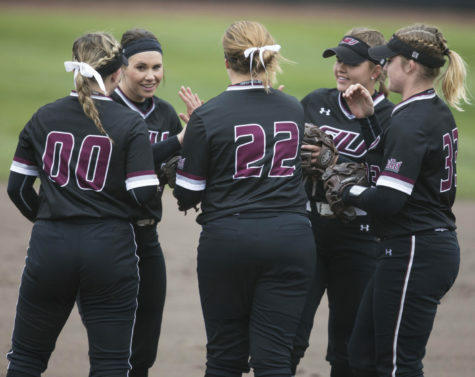 In game two, the Salukis rallied from a 6-run deficit to win. 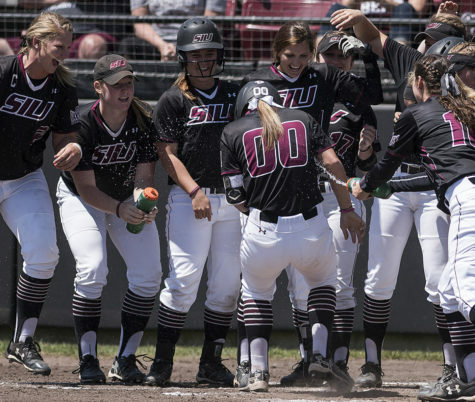 The Dawgs scored 3 runs on a double by freshman catcher Jessa Thomas. She drove in sophomore infielder Brook Womack, sophomore outfielder Merri Anne Patterson and freshman infielder Sydney Jones. Thomas hit an RBI-double in the seventh, which tied the game 6-6. 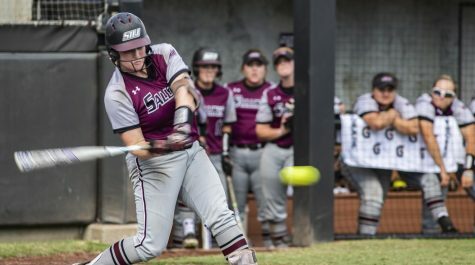 With the game tied, Saluki senior outfielder Kalyn Harker tripled to lead-off the eighth inning. Senior outfielder Meredith Wilson drove in Harker with a single for the game-winning run. Blaylock said Indiana State deserved a lot of credit in game two for putting the pressure on the Salukis early. She said the game could have gotten out of hand. Bertelsen made a solid relief appearance. 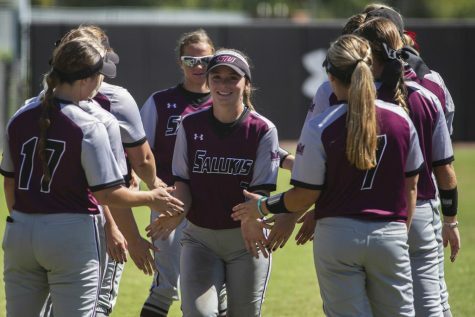 In 5 innings, she allowed 2 hits and 1 walk against the 18 batters she faced. “I thought [Bertelsen] came in, settled down and threw really well in the second game after sitting,” Blaylock said. Blaylock said the infield’s defense was key to the comeback and praised the team’s versatility. 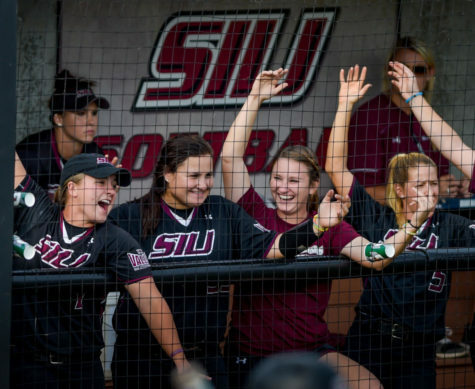 SIU plays Eastern Illinois at 4 p.m. Wednesday at Williams Field in Charleston.